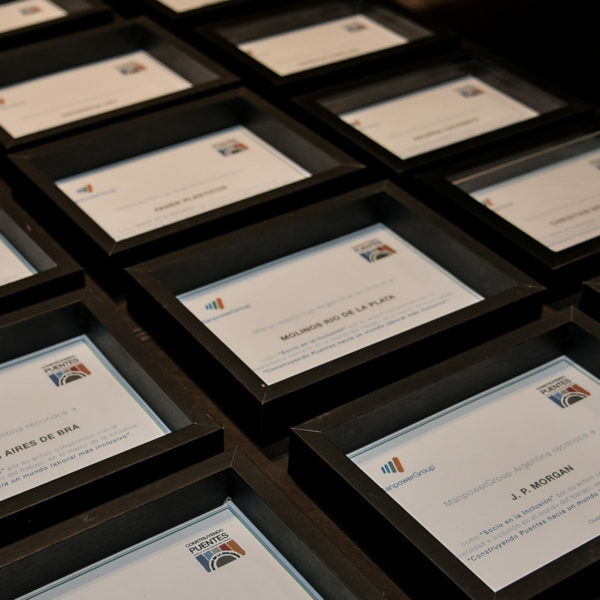 ManpowerGroup Argentina is on a mission. Recognized as a “Best Place to Work” on the Disability Equality Index, they’ve been creating workforce opportunities for people with disabilities since 2004. Developed in 2008, the Building Bridges (Construyendo Puentes) program expanded outreach to disadvantaged groups by providing opportunities for youth, refugees, women and mature workers as well. Working with employers to welcome diverse talent and offer training programs to people with learnability, Building Bridges has helped thousands of people with disabilities into the labor market. Their employability is improved with tools ranging from job search and interview techniques to time management and social media skills. And that’s made all the difference for job seekers who need an extra helping hand. The success of the outreach approach to local companies is in the numbers – more than 230 companies have stepped up as Inclusion Partners, committing to an open door policy that values the talents and skills of people with disabilities. Partner clients have even gone the extra mile by volunteering for workshops that prepare job seekers for the realities of the working world. These partner companies are united in their belief that a diverse workforce is a stronger, more creative work environment. And that’s not only good for the employees, but also for the bottom line. Melina, a 23-year old from Buenos Aires, dreamed of a career as an English interpreter and was not going to let her motor disability stand in her way. 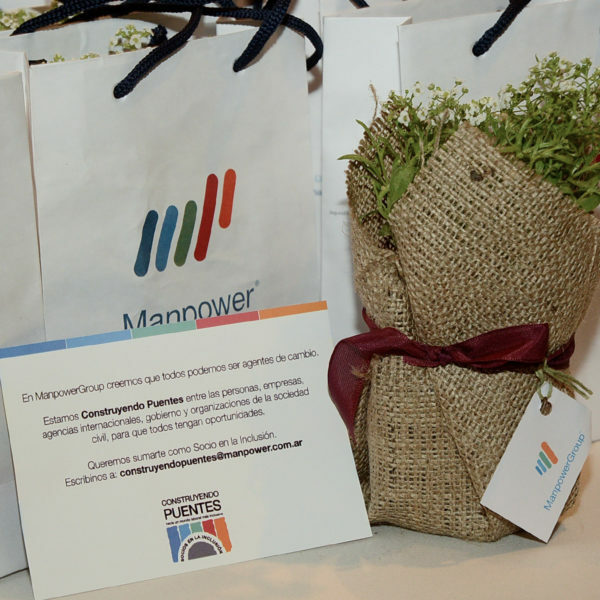 Assessed for her interests and skills by ManpowerGroup Argentina while still a student in 2015, she started down a path of meaningful part-time jobs. Work in a foreign trade company, major hotel chain and broadcasting company added valuable, office administration experience in a range of industry sectors and work environments. Melina heaps praise on her coach Cristina Miño, ManpowerGroup Diversity & Inclusion Analyst, who has encouraged her every step of the way. The Building Bridges program and its job placements are transforming lives. These individuals are finding greater independence and increased self-confidence. And that leads to happy, fulfilled employees looking ahead to a career track of meaningful employment. Her university studies completed, Melina landed a full-time job as a secretary with DuPont in August 2018. Her previous jobs have prepared her well for her current responsibilities, including answering phone calls and arranging meetings, responding to mail, and greeting people, where her English proficiency is a big asset. Melina’s varied office experience, positive outlook and sunny enthusiasm have already earned compliments from the leadership team. She credits ManpowerGroup Argentina for launching her on a career track with opportunities she would not have found on her own. Melina sees a bright future with DuPont – possibly in global business due to her English ability – and the company sees no obstacles in her way.